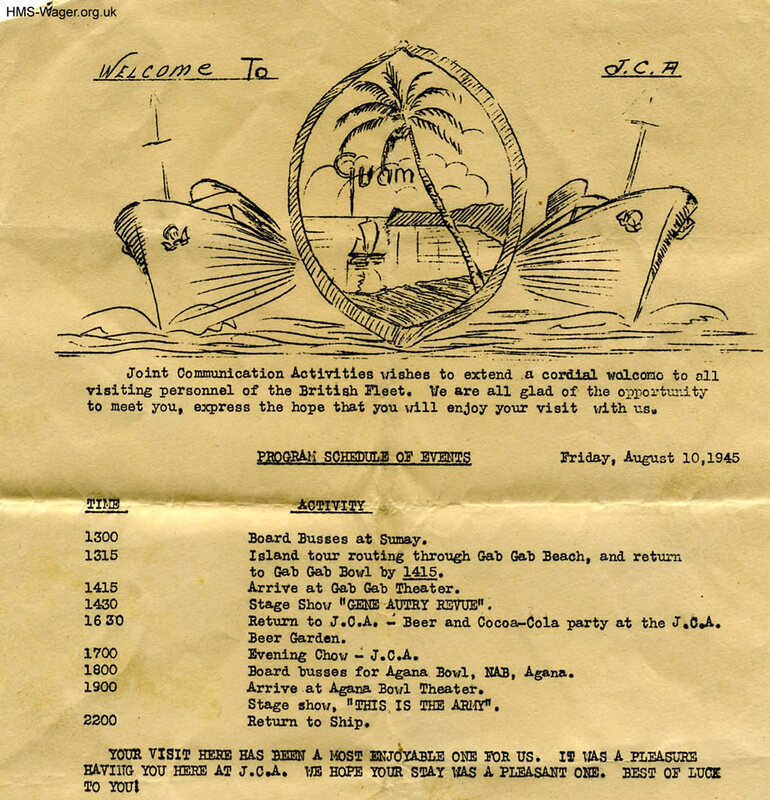 The US Forces’ JCA programme of events for a run ashore on 10 August 1945. Five days before VJ Day, HMS Wager was at anchor off Guam for R&R – rest and recreation. Gene Autry (1907-98) was a top film star of American westerns, the “singing cowboy”; he served as a Flight Officer in the USAAF in the Second World War. The Autry National Center is in California.